Why the Wait at Artichoke Pizza? Artichoke Basille's Pizza in the East Village sure likes to put artichokes on pizza. What you are about to read may be considered heresy: Artichoke Basille's Pizza on 14th street is really not all that great. Stop waiting in line. People love a line. And they've been waiting in front of Artichoke since it opened last spring. Now that the weather's turned cold, maybe they'll stop. The tiny East Village pizza shop has had praise lavished upon it and has been fawned over by the likes of Keith Richards. The line stretches out the door on most nights, and the hungry slice seekers wait upwards of twenty minutes to get what they came for. But here's the truth, the line is just really, really slow. 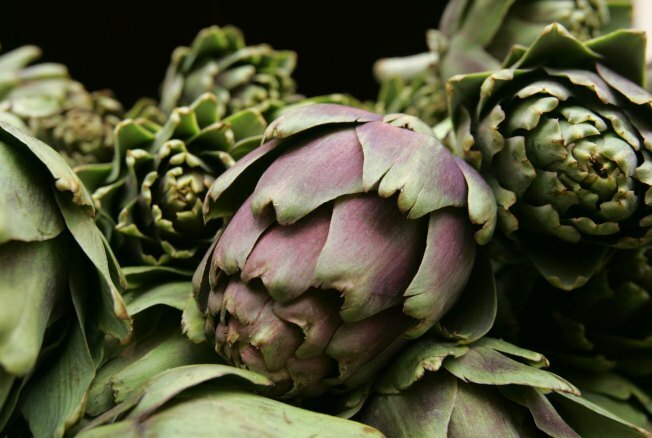 In fact, one could not be blamed for thinking that Artichoke is actually trying to make the line longer. On the rare occasions when there's no line, you might expect to wait ten minutes for your slice. The system goes like this: The cashier takes your order and your money for the $4 slice. Then waits. Then you stand and wait for a while. Then the confused looking pizza guy serves some slices to the others in front of the counter. Then he asks what you ordered. Then he puts it in. That's when there is no line. When there is a line, chaos reins. The place is small, and there doesn't need to be much of a line for it to stretch out the door. This draws more people, who wonder what all the fuss is about and before you know it Artichoke has garnered this magical reputation. But all it has is a a pretty good regular slice and a house slice (spinach and artichoke) that tastes like it is topped with an appetizer from Appplebee's. Better slices can be had all over the place. Artichoke's slice, while not bad, is bested by anything from Two Boots. And you need go no further than just around the corner to Muzzarella on Avenue A to get a better square slice (Artichoke calls theirs square Sicilian, Muzzarella says Grandma's). But if you like to wait, keep getting in line at Artichoke.